DC and insulation testing of cables, joints, electrical fixtures, etc. 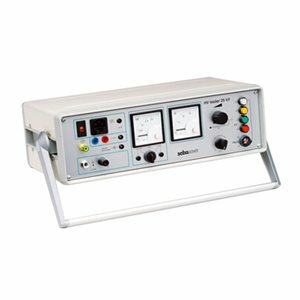 The HV Tester 25 kV is a high-voltage generator with a variable negative DC output voltage of 0 - 25 kV. The condition of the test object with regard to electrical strength and insulation quality can be determined on the basis of the unit's readings for output voltage and current. Due to its small size and internal battery this test-system is ideal for test-conditions where no external power supply is available.